El Salvador's call-center industry is profiting off US deportees. I had chosen a Mr. Donut café in San Salvador to meet Raúl. An agent in El Salvador’s burgeoning call-center industry, Raúl had been a member of the so-called 1.5 Generation of immigrants who were born abroad but spent their formative years in the United States, before he was deported. The donut shop sits in the shadow of the iconic Salvador del Mundo monument, now dwarfed by several towering call centers. That day, they were giving out two-for-one donuts to celebrate Civic Month, which marks the country’s independence from the Spanish Crown, in a deal that has become a patriotic ritual in El Salvador. Raúl and other 1.5-Generation deportees have been forcibly removed from the only homes they know and deposited in foreign territories to which they no longer have any connection — often, they don’t even speak the language. While much contemporary literature on deportation relies on the metaphor of waste — like Nicholas De Genova’s work on how migrant labor is made “disposable,” or Jock Young’s concept of a “bulimic society” — these workers’ experiences suggest something different: recycling. In this cycle of migration, deportation, and externalization, the heartless enterprise of deportation also reveals neoliberalism’s cruel and cynical efficiency. 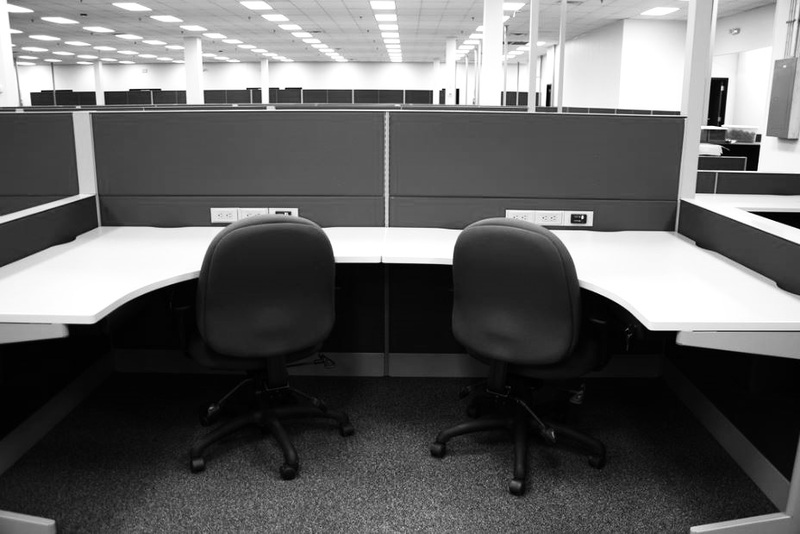 The rise of the call-center industry in places like Mexico, Honduras, Guatemala, and El Salvador signals that mass deportation has been reimagined as outsourcing: not only are jobs offshored, but so are the workers to fill them. The term “neoliberal cycle” was proposed by Tanya Golash-Boza, who argues that US mass deportation works to expel surplus labor to the global periphery while exercising greater control over domestic workers. In her interviews with Guatemalan, Dominican, Jamaican, and Brazilian deportees, Golash-Boza notes that receiving nations find many “practical and rhetorical” ways to exploit their returned citizens. Today, El Salvador is converting the surplus labor of 1.5-Generation deportees into low-cost customer service and technical support for companies like Hotels.com, Expedia, AT&T, and even Farmville. Years of living and working in the United States have made these workers uniquely qualified, and the Department of Homeland Security is delivering them to the call centers’ doorstep en masse. Like countless other call-center agents in El Salvador, Raúl grew up in the United States. Mass migration began in the 1980s, during the country’s bloody civil war between leftist guerilla forces and the US-backed right-wing military regime. In the years following the peace accords, however, more and more Salvadorans emigrated north. From 1980–1990, 54,156 fled the country each year; between 2000–2010, that figure rose to 61,942. These peacetime migrants were no longer trying to escape political violence, but rather economic devastation. Like elsewhere across the globe, the United States and its international finance allies encouraged massive privatization and deregulation policies in El Salvador, which were eagerly implemented by the governing oligarchy. In recent years, of course, migrants have pointed to gang violence, family reunification, and economic hardship as causes for their flight. In the United States, the same neoliberal forces that boosted migration from El Salvador converged with the burgeoning national security state to create mass deportation, first under the guise of the war on drugs, and subsequently under the war on terror. Raúl participated in the early wave of migration: at the age of six, he and his mother escaped the civil war’s escalating violence for the United States, where they received asylum. He learned English in California’s public school system and began to work in the service industry as an adolescent. Most of his relatives eventually gained citizenship, but Raúl never did. When his residency expired, he fell victim to the post-9/11 immigration boom. As he explains, after the attacks “a lot of attorneys … got into [the field] but [they] really didn’t know what they were doing, so they gave me a lot of bad advice . . . So I stayed without legal status ‘til about 2006, and unfortunately I got arrested for a domestic dispute.” While detained in country jail, Immigration and Customs Enforcement (ICE) was alerted. Raúl was transferred into immigrant detention for deportation proceedings. In 1996, the Illegal Immigration Reform and Immigrant Responsibility Act and the Antiterrorism and Effective Death Penalty Act increased the number of crimes subject to deportation, limited judicial discretion, expanded the use of mandatory detention, and accelerated deportation procedures, suddenly rendering thousands of migrants vulnerable to deportation. After 9/11, the Patriot Act ramped up the use of border patrols by 300 percent, and, in 2002, the Homeland Security Act moved deportation processes over to the newly formed Department of Homeland Security, while the Border Patrol’s mission was updated to reflect their new role protecting the country from alleged terrorists. This gave rise to a lucrative immigrant detention industry, inspiring companies like Corrections Corporations of America, now called CoreCivic, and Geo Group to lobby hard for some of the nation’s most appallingly racist anti-immigrant legislation, including Arizona’s SB 1070. In addition, federal programs like E-verify and Secure Communities, which Obama rebranded as the Priority Enforcement Program, have turned employers and police into immigration enforcers, making migrant labor all the more vulnerable and regularly transforming even casual law-enforcement encounters into life-changing crises. Deportations have skyrocketed as a result. In 1995, 50,924 non-citizens were removed from the country; within fifteen years, that number had grown almost eightfold, eventually reaching a record high in 2013 with 435,498 removals. El Salvador, a country the size of Maryland with a population of some six million people, has borne a disproportionate impact: In 1995, the United States deported 1,932 Salvadorans; in 2010, that figure rose to 19,809 and reached a record high of 27,108 four years later. Raúl was twenty-six when he was arrested. He fought the deportation order for two years from detention, seeing no future for himself in El Salvador; his immediate family, including his partner and children, all lived in the United States. He had few memories of the country of his birth and barely spoke Spanish. In 2008, he was deported to El Salvador — wrongfully, he says, before the proceedings had been finalized. Garment sweatshops have long been the poster-child for neoliberal globalization and its discontents in Central America. Ushered in with the structural adjustments of the 1990s that enshrined foreign private investment incentives and cemented by the 2006 Central American Free Trade Agreement (CAFTA), the maquiladora model promised economic growth and development. Instead, it delivered low-wage, high-turnover work with minimal oversight and maximum exploitation. The horrors of this labor sector are well known, but the latest craze in the global race to the bottom — call centers — demands more study. Like the garment industry, the call-center industry arose on a global scale as North American and European companies sought to lower costs by fragmenting and externalizing elements of production. But call centers don’t export material products; they export human resources. The United States has avidly promoted the industry’s growth in El Salvador, where majority foreign-owned corporations enjoy exemptions from income, sales, and municipal taxes. Under the bilateral Partnership For Growth framework, USAID and the American Chamber of Commerce support national programs like “Improving Access to Employment,” “Supérate,” and “English for Work,” which train young Salvadorans for call-center labor. In addition, as part of its mission to “adjust workforce training to the demands of the market,” the Millennium Challenge Corporation compact with El Salvador specifically identifies call centers as a strategic sector for growth, along with the textile industry. What’s more, the call-center industry is only likely to keep growing. In the grand imperial tradition of CAFTA, the Partnership for Growth, and the Millennium Challenge Compact, the new US-championed Alliance for Prosperity in the Northern Triangle of Central America represents yet another vehicle for imposing militarization, extractivism, and neoliberalization on the region, and has a central focus on improving the “investment climate” for private foreign corporations and “closing the gap” between labor supply and business demands (read: “train more call-center workers”). But while the US touts call-center jobs as solutions to youth unemployment and mass migration, the reality is that like the maquila sector, the offshored call-center industry contributes to an ever-more precarious, unstable, and unequal economy for workers both in El Salvador and the United States. At first glance, call centers offer relatively good terms for bilingual workers. Minimum wages hover around $600 per month, often with juicy starting bonuses, compared to the maquilas’ starvation wage of $200. But despite the higher pay, call centers follow the same brutal procedures as garment sweatshops: constant managerial surveillance, limited bathroom access, demanding quotas, minimal break time, scarce promotion opportunities, and strict anti-union practices. Like the maquilas, call centers prefer young workers, who have a higher tolerance for the stressful working environment. Ten-hour shifts are the norm. Agents must stick to a script, and all calls are monitored. Their North American customers are generally irritable, frustrated, even abusive. Just like their counterparts in the garment industry, workers in call centers burn out and turn over quickly. Negligible unionization leaves them unprotected. The Salvadoran government estimates that over seventy call centers operate in the country, employing over twenty thousand people. Many are recent re-arrivals, victims of the mass deportation industry. In addition to attracting university students and frustrated recent graduates, El Salvador’s call centers have become an economic and social hub for the country’s ballooning deportee population. Deported members of the 1.5 Generation can commercialize their language and cultural skills in a space uniquely tolerant of their otherwise stigmatized tattoos, shaved heads, baggy clothes, and, in many cases, criminal records. Today in El Salvador, the figure of the deportee call-center worker has become as much a stereotype as that of the deportee gang member. It was therefore unsurprising, if not inevitable, that Raúl found himself applying for a call-center job within weeks of his arrival. “I went to the first interview, which was [at] Sykes, the first place I worked at. But I wasn’t ready for it.” His first attempt failed: while he aced the language portion of the assessments, he didn’t have the computer skills. “Back in the States, I really didn’t mess with computers, so my typing was awful,” Raúl admits. “Plus, I didn’t have my high-school diploma,” which the company requires. But then something happened. In a highly unusual turn of events, Raúl claims that the judge overseeing his case demanded his return to finalize the proceedings, and he was returned to US custody. She was already tired of being by herself, and she was dealing with three children, she had already got held up for two and a half years — before that she didn’t work, so it was kind of shocking for her to have to go back to work. I made a dumb decision, but I made it thinking of my children and her. I should have stayed and fought the case longer, but she was tired. So she was like, “Go back [to El Salvador], and come back, come back like everybody else does, illegally.” I did. Unfortunately, I got caught a month later and went to do two years for illegal re-entry. In the United States, Raúl was making $1,600 each month working in restaurants; in San Salvador, he found himself answering calls for North American companies for less than half that. The work we do here, the pay is not enough, and the pressure they put on you is enormous. Plus, the long hours of work. Coming from the States where, eight-hour shifts, that’s normal. Or when I worked in construction, if I did twelve [hours] it was because I wanted to, it wasn’t because I was pushed to do it. But here you feel that pressure that they’re on you, like you have to do these ten hours a day. Call-center labor is emotionally and physically exhausting, and very few manage to make a career out of it. The companies present themselves as temporary employment for students on the way toward bigger, better things; a recent ad for Sykes declares: “Great environment, flexible schedules, and the opportunity to work and study at the same time is for you!” Most university grads in El Salvador will have a hard time finding salaries in their field that compare to what the call centers offer. For deportees, the options are even more limited. Deportees often feel trapped, essentially interred in the foreign country of their birth. The call centers take maximum advantage of the anguishing restrictions imposed on deportees’ mobility. As many wait to be legally eligible to apply for re-entry — time carried like a prison sentence — call centers profit on their captivity. I have thought about leaving the country. But what am I gonna go do somewhere else in another country? . . . My oldest is thirteen, you know, he can sponsor me back [to the United States], but he’s gotta be twenty-one, and that’s about eight years from now, plus give or take anywhere between a year and five years for the paperwork to go through. We’re talking about somewhere around thirteen years before I can consider going back legally. I have considered going back illegally, but I’m running a risk of going to prison. And I’m gonna tell you something, I have a lot of respect for the people who travel through Mexico. Because when I did it back in 2009, when I went back, it was awful, it was horrible.
. . . But I don’t know, I’m confused, because I’m stuck. My level of education is not high . . . Didn’t go to college, barely finished high school. So, I don’t feel like I could ever do something in this country unless I opened up my own business, but unfortunately I don’t have the funds to open up my own business. And I really don’t wanna work the rest of my life in a call center. In 2015, I interviewed thirteen 1.5-Generation deportees who, like Raúl, work in San Salvador’s call center industry. Our conversations suggested that, while the sector offers much-needed income and social support for a population that has been violently uprooted and thrust into an unfamiliar and often dangerous territory, it does little to integrate these individuals into Salvadoran society. Call centers promote an English-only environment, and agents spend their shifts speaking with North American clients in their best, “accent-neutral” English. Many deportees spend what little free time they have socializing with fellow deportees and find little motivation or opportunity to develop their Spanish fluency. I think all my friends are from the States . . . When I got here, [my] Spanish was rough, because I was more used to speaking English . . . After four years, I’m [still] more comfortable talking in English than in Spanish . . . My roommate, he’s from California. My dog, I think she only listens to English, ‘cause I always talked to her in English when she was a pup. Having grown up as fully acculturated Latino Americans, deportees like Raúl bolster Daniel Kanstroom’s claim that the mass deportation is creating a “new American diaspora.” Their years of public education, civic formation, cultural consumption, and labor in the United States fostered a strong sense of belonging that Susan Bibler Coutin calls an “approximation of citizenship” that never was formalized into official status. The language skills and cultural identities cultivated by 1.5-Generation deportees do not constitute citizenship in the eyes of the state. But they do make for excellent call-center agents. Recently, the landscape of mass deportation began to shift. In 2014, rather than wait to capture migrants within its own borders, the United States began outsourcing enforcement to Mexico. Plan Frontera Sur, as the program is called, has intensified the militarization of Mexico’s southern border with Guatemala as well as the traditional migrant corridors — like the route along the infamous cargo train known as “la Bestia” — making the journey exponentially more dangerous. Deportations to El Salvador dropped significantly, falling to 21,920 in 2015, while deportations from Mexico shot up to unprecedented levels, from 8,944 in 2011 to 22,137 in 2014. Last year, Mexico deported more Central Americans than the United States. Raúl and his fellow 1.5-Generation members are now outnumbered in a deportee population increasingly dominated by women and children apprehended upon or well before reaching the US-Mexico border. Accordingly, the call-center industry is evolving. Many companies have imposed stricter hiring policies, barring those with a US criminal record. Private “English for Call Centers” academies are sprouting up across the capital, hoping to cash in on training a domestic workforce that could displace stigmatized deportee labor. As I finished compiling my interviews in early 2016, I wondered what the future held for 1.5-Generation deportees like Raúl. Could it be that transnational capital will soon have no more use for this recycled labor? It’s unlikely. In fact, Central America may well be bracing itself for an influx of exiles like Raúl. With Donald Trump’s rise to power, 1.5-Generation migrants and their families are in the crosshairs like never before. It took Obama eight years to deport 2.5 million people — a staggering, disturbing achievement. Trump has threatened to deport 3 million more, as soon as possible. He’s also promised to repeal Obama’s Deferred Action for Childhood Arrivals (DACA) order, which protects over 700,000 1.5-Generation immigrants. And despite Trump’s campaign-trail isolationism, the United States appears set to continue its imperial path in Central America (and beyond). As head of SOUTHCOM, General Kelly, now tapped to head the Department of Homeland Security, was a big proponent of the Alliance for Prosperity, which envisions Central America as a logistical corridor for US commerce, traversed by massive highways and natural gas pipelines, where young people sweat away the hours in garment factories, sugarcane fields and, of course, call centers. US foreign policy purports to seek to help provide alternatives to mass migration from Central America, but the neoliberal programs that it promotes offer no such thing. Quite the opposite: they contribute directly to the conditions for mass migration, then banishes those migrants back to the precarious economies they created. And US companies, from the private prison corporations and the border security firms to the banks, websites, and telecoms that outsource to the call centers, are cashing in at every turn. In the meantime, countless deportees in El Salvador spend their days under florescent lights, strapped into a headset, sitting in front of a screen, and providing first-world service at third-world rates to the community from which they were ruthlessly expelled. El Salvador’s call-center industry is profiting off US deportees.